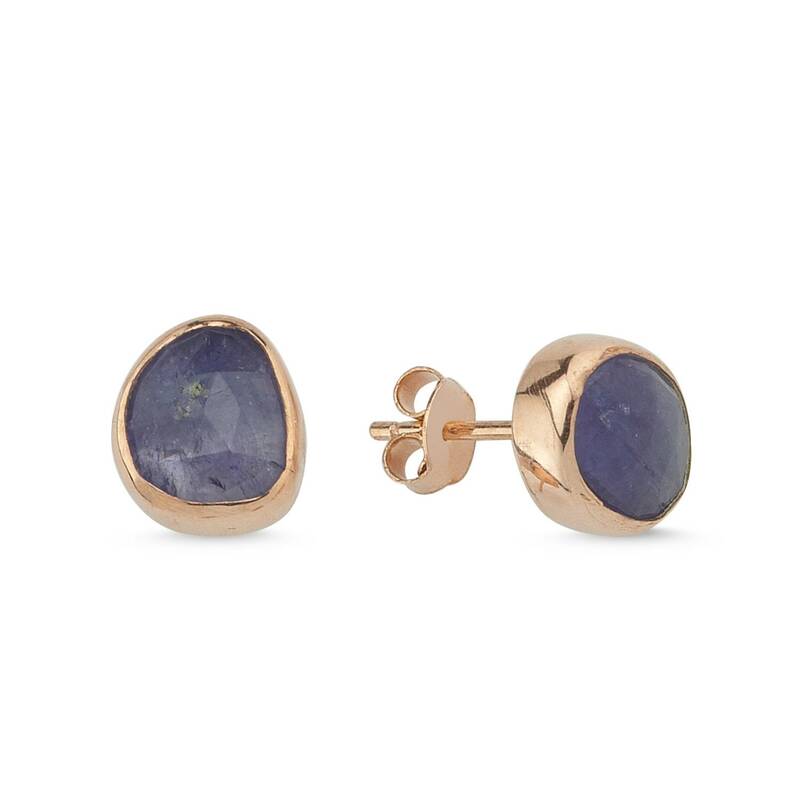 Amazing genuine tanzanite earrings at this price!!! Tanzanite's high vibrational energy invites protection and safety in linking with higher realms, and allows for deep profound meditation. It is particularly helpful in uniting the mind and heart, teaching one to live from a compassionate heart with an illumined mind . I love their organic, natural shape! They are elegant, modern and great for every day use.